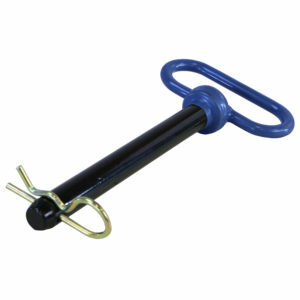 Grade 8 performance, premium heat treated hitch pin made from alloy steel for tough applications. Pin is black with blue vinyl head and handle. Zinc plated “R” clip included.